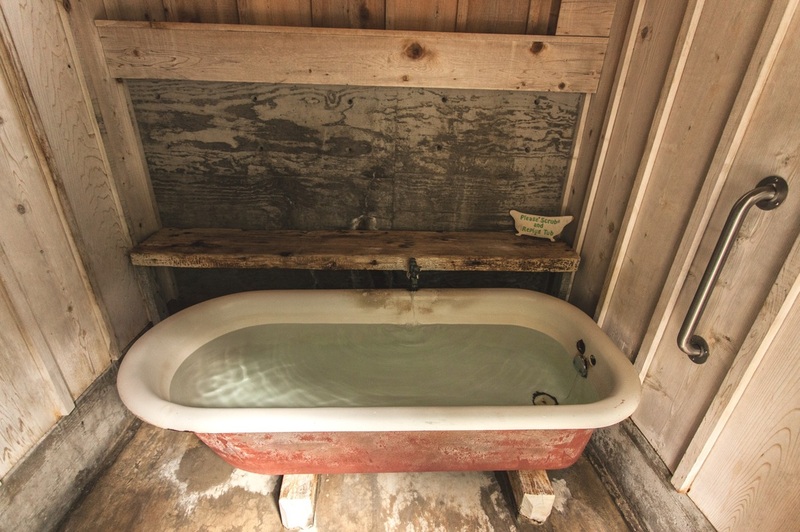 Five Private Tubs in individual rooms line the bottom floor of the Bathhouse building. Inside are large, steel claw-foot tubs that constantly fill with hot water. The temperatures of these tubs range from 104 - 107 degrees. 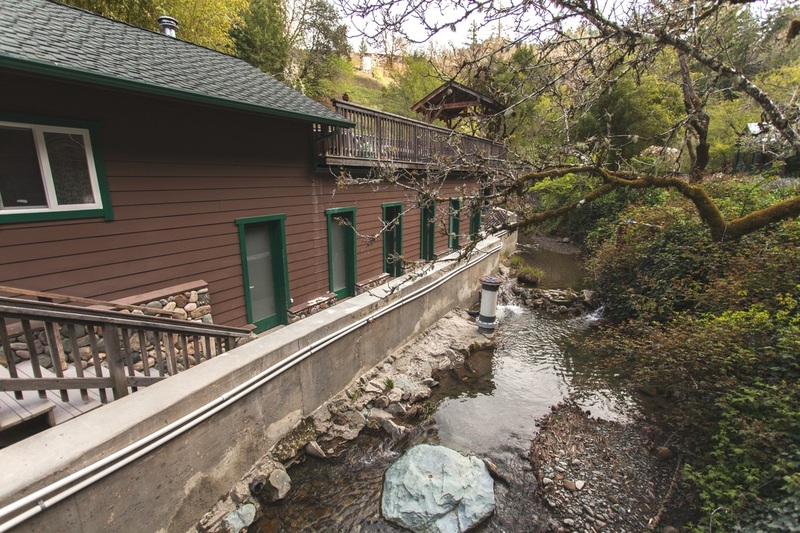 Two Stargazing tubs sit atop the Bathhouse building, offering a fantastic view at night.